Put simply, identity theft happens when someone takes your identity without your knowledge. They use your social security number or a credit card in order to get credit, cell phones, credit cards or any other goods without your permission. The individual with your information can actually create more problems for you by doing crimes in your name. 2. How does identity theft happen? Although many people think that identity theft is a crime that happens outside their home, the truth is that many times it happens because of a family member. The person who has the most access to your information can be a spouse or an adult child. These can be the first places to look when you experience this crime. Some people have this happen after their wallet or other personal information is stolen. This can happen if you make online purchases in unsecured sites or if you are tricked into responding to an Internet offer. In some types of identity theft, employees at businesses or medical facilities will be enticed to steal patient information and give it to the identity thief. Identity theft can also find its way to you through scams for scholarships or other things that people need. Many unscrupulous thieves will offer you something that you want and when you send them your information, they capture it to use later. If you use online social networking or create a profile anywhere, an individual can steal your identity using this pertinent information. 3. How big of a problem is identity theft? There are several statistics that allow us to understand part of what is going on with identity theft. According to the 2012 National Crime Victimization Survey, it is estimated that 16.6 million people experienced personal identity fraud in 2012, with financial losses totalling $24.7 billion. It can take anywhere between a few hours and over 5,000 hours in order to get an identity back once it is stolen. About 10% spent more than a month clearing up the problems due to identity theft. The more time you need to spend to resolve the issues, the more likely you are to experience problems with work or personal relationships: of those who spent six months or more on the aftermath of identity theft, 47% experienced severe emotional distress. 4. What kinds of identity theft are there? Character Identity Theft. Someone pretends to be you and commits a crime. This can be someone you know or someone you do not know. The individual gives your name when they are arrested and then leaves the area. This can result in your arrest and incarceration because they have your name and your social security number in their system. Theft of Your Social Security Number. If an individual has your social security number, they can do just about anything. The individual in this theft can get employment using your number. These wages are sent to the IRS as wages that you earned. Medical Identity Theft. Unfortunately, this type of identity theft is on the rise. It is usually done in a doctor's office or hospital where employees have access to your records. This can also be started by a doctor within the hospital. Thieves can steal your identity and receive prescriptions or treatment in your name. Eventually, you could lose your current health coverage if this information is not geared towards you. Driver's License Identity Theft. If someone has access to your driver's license number, they can write checks in your name and they can commit crimes with their vehicle. They can also have outstanding tickets that you will not know about because you didn't commit the crime. Usually, you will not know until you fail to appear in court for the traffic violation and you are arrested. Credit Identity Theft. The individual is able to use your social security number or other information to get services, loans or goods, and they don’t have to pay the bills. They often go on a spending spree without your knowledge. When the bill collectors start calling, you find out that they have run up a bill that you have no idea how to approach. Identity theft is insidious and will creep up on the average person without knowledge and can be done over a period of years. 5. What are common identity theft scams? Scam #1: Can you help me by cashing money orders? In this scam, someone gets an email from someone who requests that you help them secure money in your country. There are many variations: Sometimes it can be someone who is sending out products and needs to have you change their money into American money. At other times it can come from a consulate who needs your help. The most current scam is coming from an "American soldier in Iraq." This is a way to phish people's information. You give them required personal information and they can use it to do much damage. This scam requests pertinent bank information to update your account. This often comes from a bank you have heard of but where you do not have an account. It is a major spoofing type of identity theft that gets your information easily if you are not careful. This scam allows the thief to commit credit card fraud or open credit accounts in your name. This scam involves email. You receive an email from your bank, the FBI, the IRS or any other place that the perpetrator is using. You are told some information that seems legitimate -- like you have to update your information, or the FBI is looking for something or the IRS needs you to send new information. The individual hopes that you will respond to the email with the information they requested. If you do, you have given your personal information and they can use it anywhere. A new version of this is to give you an email that says to call the bank to resolve an issue. When you call the number you are not on the phone with your bank but with the thieves. Since most people are afraid of the IRS, this scam is one that’s working very well. The individual receives a call from the "IRS" that says in order to process their stimulus check, they need to verify your social security number and your bank numbers. This is a giveaway that it is a thief because the IRS uses the information you put on the form and doesn’t call or send email to verify. This scam involves an email that is sent to a top executive in any company which states the individual has received a subpoena to appear in court about "legal violations leveled against their company." In order to read the subpoena, they must install an "add on" to their browser. Those who do this give valuable information over to the thieves and it steals usernames and passwords. The point is: No one is above being scammed by identity thieves, and the scams are becoming more sophisticated. You should check scam alerts often because they change frequently. You can do this by going to the Federal Trade Commission Website. 6. What laws protect me from identity theft? In 1998, Congress passed the Identity Theft and Assumption Deterrence Act (18 U.S.C. § 1028.) to make identity theft a federal felony. Check with your state to see whether there is a law in your state about identity theft. The federal government will not get involved in an investigation unless the loss is substantial, but states will usually investigate the smaller ones. 7. What should I do if I think I'm a victim of identity theft? Step 1: Get a copy of your credit report from all three credit bureaus. Go to AnnualCreditReport.com and fill out a form to request a credit report from all three credit bureaus. It is the only website that is authorized to do this for consumers. Step 2: Check your credit report thoroughly for any unknown charges or accounts that you have not opened. Make a list of any charges or accounts that are not yours and get in touch with the credit bureaus right away to have them investigate these charges. Look for any accounts you haven't opened, charges that are not yours, or companies that have made inquires about you. There may be inquiries from companies that you have never heard of -- which could be someone trying to open an account in your name. Check to make sure your names, initials or any other identifying information (like your addresses) are correct. Step 3: Place a fraud alert on your credit reports. The Federal Trade Commission suggests that you put a fraud alert on your account as soon as you suspect identity theft. Putting a fraud alert with one of the bureaus will do so for all three. They are obligated by law to contact the other two after you alert one of them, and you should receive a confirmation that it has been done. If you do not receive a confirmation from the other two, make sure you call them directly. Once the fraud alert is in place, the thieves can no longer open accounts in your name. Make sure you keep records of every phone call you make with every individual and keep track of dates, times and any correspondence. Step 4: Immediately close any accounts that you feel have been tampered with or that have been opened fraudulently. It is important to call each company and talk to someone in the fraud department. You should always follow up with them by letter and include any documentation that gives them information as to why it is fraudulent. Make sure you send any information certified with a receipt requested so you can have a record of what was sent and when it was received by the company. If you open new accounts on your own, use new Personal Identity Numbers (PIN) and passwords. However, don't use offshoots of your personal information like your mother's maiden name or your birthplace. If there are fraudulent charges, you can ask the company to send you the forms to fill out to report a fraud. Step 5: File a complaint with the Federal Trade Commission (FTC). The fastest way to file a complaint with the FTC is to fill out their online complaint form. 8. What is a fraud alert and what does it do for me? Before you set up a fraud alert on your credit file, it is important to know what it is and what it does. When you ask for a fraud alert, the major credit bureaus will basically put a note on your account. When someone tries to open an account at a department store, a bank or other places in your name, or if they try to get a new credit card, cell phone or other credit, you would be contacted by phone. Under normal circumstances, if the store or lender can't get you by phone, they would not open the account. The challenge is that the creditor isn't required by law to do this, so many will ignore the rule and open the account anyway. Fraud alerts are a good idea anyway because from that point on, you have a record that you had placed it on a certain date. Fraud alerts are to be opened within 24 hours and you should get a confirmation. They stay on your file for 90 days, so you will have to renew it at the end of that time. You can also remove your fraud alert but it must be done in writing. 9. What is a credit freeze? Some states let you freeze your credit so that the only way someone can use it or get access to your credit report is if you give them the ability to do so. To unfreeze the information temporarily, you will get a PIN and other information. This will not damage your credit report or your credit score. Some states let anyone do this while others only allow it if you have been a victim of identity theft. In most states, it is free to freeze your credit if you have been a victim of identity theft. If not, it can cost you $10. It is a good idea to check with your state to see how they handle this issue. 10. Why should I file an Identity Theft Report with my local police? The Identity Theft Report will use the Theft Complaint Form and it will have more details than most identity reports. It will give enough detail to show to any company or lender that you have been a victim of identity theft. When you file this report, you then notify the credit bureaus and they can block fraudulent information from appearing on your report. Find out more about how you can file an Identity Theft Report at the FTC website. 11. How can I protect myself from identity theft? Don't carry your social security card in your wallet unless you are going somewhere that requires you to show your card. Make sure it is kept in a safe place at home. Ask to have your social security number removed from checks or other items that you carry on a regular basis. On the back of credit cards, instead of your signature write, "Check photo ID." This will insure that only the person with your ID can do the transaction. Make copies of the fronts and backs of all your credit cards and keep this information in a safe space. If they are stolen, you have the information you need to cancel the cards. Make sure you get your mail from your mailbox regularly and don't let it sit too long. Thieves can get great information directly from your mailbox. Do not leave personal information in your glove compartment in your car. Take it into your house instead. 12. Are identity theft services like Lifelock worth paying for? LifeLock is considered the best company of its type and has won several American Business Awards. You have heard of them because of CEO Todd Davis, who has put his social security number out on radio, television, billboards and anywhere else he can think of. The point is that he is so sure that you are protected by his company that he uses it himself. They put fraud alerts on your credit report every 90 days to make companies check with you before they open an account in your name. They use a proactive defense, so they stop identity theft before it happens. Other companies wait until you have the problem before they fix it. LifeLock guarantees you will be protected up to a million dollars. This makes the program well worth the money. Other options include software programs like IdentityForce. This program searches for potentially stolen personal information online and gives you an ID health score to help you assess your risk level. If you check out other companies like LifeLock, you can probably find a review or a comparison chart on the Internet about them. 13. Can children be victims of identity theft? Children can become victims of identity theft, and it often takes longer to find out about it. Generally, a parent or close relative takes the child's social security number to open accounts, get credit cards or obtain bank accounts. Usually, you will not know about this until the child gets older and they apply for their first credit. By then, the damage is done. The challenge with child identity theft is that when an application is made, no one checks the age of the applicant. This means that anyone who has access to a child's personal information can take advantage of it. You can find out more about what to do when your child has become a victim of identity theft at the Identity Theft Resource Center. 14. Where can I find more information about identity theft? This FTC site gives you a wealth of information. There are forms and frequently asked questions that help you in every step of the process. The FTC constantly updates their information so that you can be aware of any current scams or phishing frauds that may develop. This is a very thorough article about identity theft and it is easy to read and follow. It gives you information about identity theft protection and identifies scams and other ways that thieves steal identities. 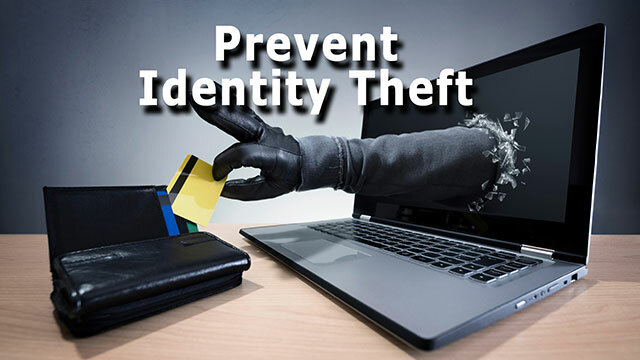 They cover aspects of identity theft that you may not think about under normal circumstances. This is the privacy rights organization with several fact sheets on different privacy issues. They cover every known privacy action and provide fact sheets on each one. Their identity theft section is very thorough and you might want to try the other fact sheets to stay well informed. Wikipedia gives a general overview of identity theft and how it affects consumers. It covers issues that are not seen in other sites like financial identity theft (in a different perspective than usual) and very detailed information about how they obtain your information easily. This is former President George W. Bush’s site on identity theft. It gives a general overview about the problem and what they do. The site provides information about the task force, what it does, and talks about victim's rights. This is a fun site because it gives a lot of information about how identity theft works and gives you a couple videos to see as well. The videos are interesting and very comprehensive in their information. You can also click on links to take you to specific areas in the information. This is a fact sheet of information about how children are affected by identity theft. It gives a breakdown of what it is, how it happens and precautions you can take. It also includes helpful thoughts from victims.